A Snow Globe! I mean...A Snow Globe? and Socks! I mean...Socks? And a bobblehead of a player to be named later. Despite how those first 2 sound (like the 2 worst holiday presents you get every year) these items might actually be cool. I am specifically intrigued about the socks giveaway which is taking place on "Throwback Thursday" (Jan 28th vs Nuggets). Does Throwback mean Bullets Socks? The other interesting item, the snow globe (Dec 23rd vs Grizzlies) could be really cool or really lame. (Did I just say a snow globe could be cool?). Plus, before that game we are getting into the holiday spirit with our Ugly Sweater Pregame Happy Hour (details to come) so 2 huge reasons to come out to that game if you are in town. A bobblehead will also be given out at the end of the season (Apr 10 vs Hornets) and we aren't getting to excited until we find out who the player is. If it is Tomas Satoransky, we're out. And before you ask, unfortunately no pictures have surfaced yet for the promotional items, but here is a poorly photoshopped "thing". The giveaways start opening night (Oct 31) with a free T-Shirt (probably the red Custom Ink blicky that you have 8 of) and a schedule magnet. (Hey, maybe we should go to that game and check out the Wiz Fan Pregame Halloween Party. The other notable giveaway is a team poster on Dec 6 for Kids day (vs Mavs). An employee at Monumental Sports and Entertainment informed me that they have the same every fan gets an item policy, which means that even if you are late to the game (up to close to halftime) you are GUARANTEED to get the promotional item. 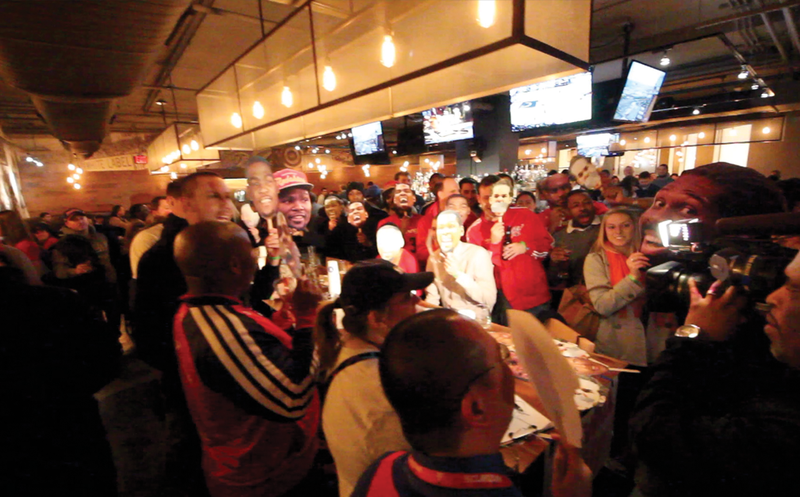 Last season I actually sat out in the lobby of Verizon Center and watched this policy in action at the Gortat giveaway. The staff was there til the final timeout of the first half before the particular gate I was at packed it up with Gortats to spare. ("Everything I do, I do it for you" -Bryan Adams and Me for DC Sports fans). Throughout the season the Wiz will also have theme nights including Social Media Night (Jan 13 vs Bucks) and Throwback Thursday (Jan 28 vs Nuggets). As usual, before each of these giveaways we will be having DC Sports Happy Hour pregame events. So come join us this season and pick up some cool stuff. 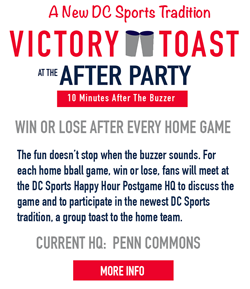 Keep up with the schedule at DC Sports Happy Hour.